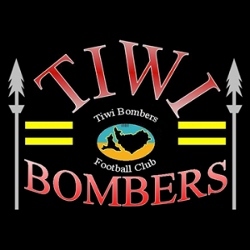 After bringing down the reigning premiers, the Tiwi Bombers will be reassessing their goals for the 2019 season. Their victory against the Southern Districts Crocs proved that they have the “A” game capable of reaching finals and causing havoc when they get there. But ahead is a period of developing consistency and belief – mixed with hard work – to finish the season well. 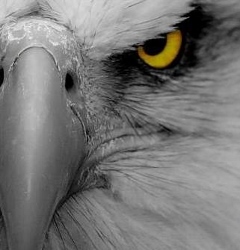 Nevertheless, they now sit in fourth place and finals are theirs to lose. 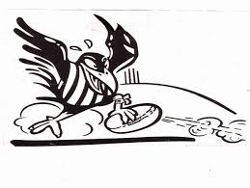 Travelling to the Crocs home ground, and trailing at half time, the Bombers were up against it. But four unanswered third quarter goals saw the Bombers grab the lead and were good enough to increase that in the last quarter to win by 22 points. The loss was costly, though not terminal, for the Crocs as they lost their third game from their past four starts and need to regroup, answer the wake-up call and re-establish their premiership credentials. 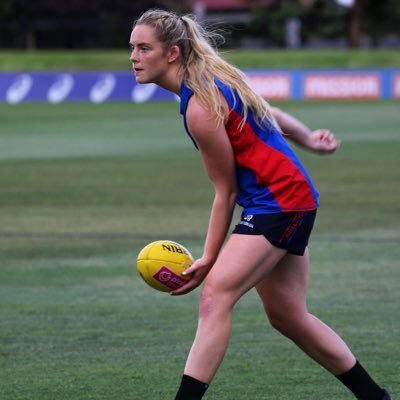 The Western Bulldogs drafted 22-year-old Irish recruit Aisling McCarthy after she impressed at the Cross Coders program. McCarthy was picked at no.23 in the draft. “It was the middle of the night at home so I was quite tired but waited up eagerly to see if my name was going to be called out,” McCarthy said. 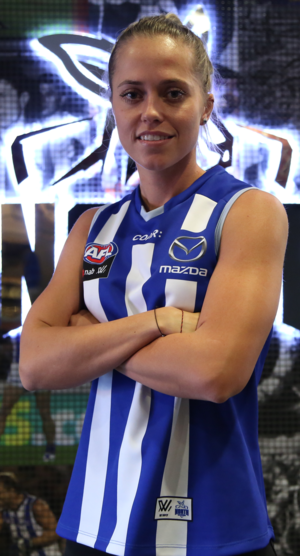 Nicola Barr, the inaugural number one draft pick for the AFLW has made a name for herself not only on the footy field but also off field too. “I have recently graduated from the degree and am now working at Starlight Children’s foundation as well as taking a couple of spin classes each week,” Barr said. “Balancing these things in addition to AFLW training can be quite a challenge at times! For me the best way to juggle these commitments is to ensure that while I am doing something to be completely focused on it," Barr said. 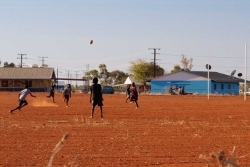 In this extraordinary story from Lucy Murray at ABC North West Queensland, the team from Lake Nash in the Northern Territory, their trials to simply get to a footy match are explored. If you like, it ould be called extreme car-pooling to get to a match each week. It is an amazing snapshot into what it takes to play footy in one of the most remote parts of Australia. The Lake Nash Young Guns footy team struggles for money to travel the 600km to their games, and if they do not get a kangaroo on the way to the game, they most likely play on empty stomachs. Alpurrurulam, or Lake Nash, as it is commonly known, is an Indigenous community on the Queensland–Northern Territory border. In the centre of town is a red dirt Australian Rules Football Oval, where the Lake Nash Young Guns can be seen training every evening. As they run, often barefoot, or in socks, they leave a trail of red dust behind them. 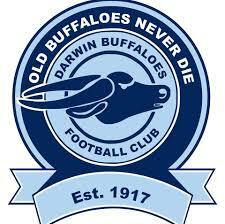 A thunderstorm and cloudburst, and a rampant Crocs outfit, were not enough to stop the Darwin Buffaloes from taking the four points in their match at TIO Stadium on Saturday. 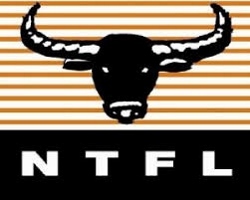 It was part of another exciting round that saw The Buffaloes grab a one point win, Palmerston held off Waratah by four points, The Tigers shook of a desperate Saints by 20 points and the Tiwi Bombers romped home by over 100 points against Wanderers. Perhaps the match of the round, however, was the Buffaloes/Crocs clash. After a solid first half, where Darwin held a three-goal lead over Crocs at the main break, Southern Districts started to fight back in the second half to get to within seven points by the final change. But with a storm close, the final quarter was delayed until the all clear was given to resume. After the enforced break, Crocs kept coming, but Buffaloes held them off by just a solitary point.